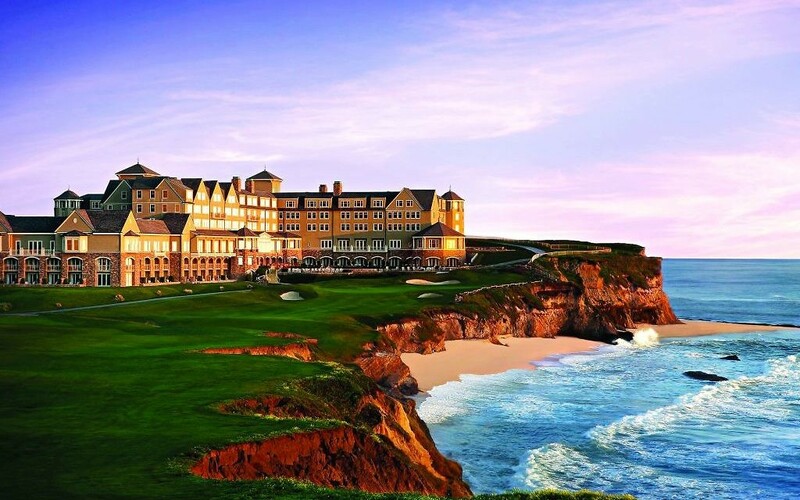 We pulled up at the ocean front driveway of the Ritz-Carlton Half Moon Bay, which reminded me of Bond in Casino Royale, stepping out of his Aston Martin in the Bahamas… a scene of valets, columns and slick luxury. Unfortunately, we weren’t in a silver sports car, but we did try to maintain a level of ‘cool’ and understated excitement. Half Moon Bay is a haven 30 minutes outside San Francisco, a destination that only a select few seem to know about. 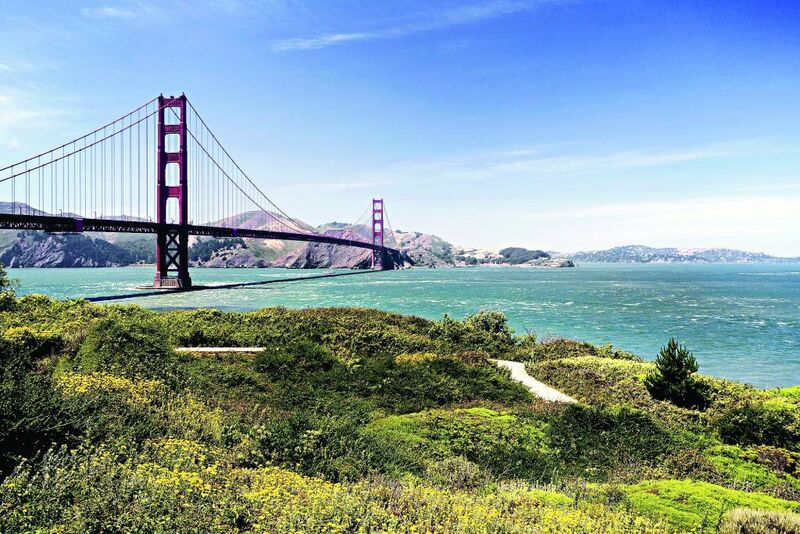 A tiny town, it’s close enough to the tech giants of Silicon Valley to be a regular escape, so it’s not unusual to see Facebook’s Mark Zuckerberg or Apple’s Tim Cook strolling along the wild unspoilt beaches. You have the feeling of being in a special, uniquely wild place, where you’re pitted against the elements. This hideaway isn’t just an escape for locals, though. It’s fast becoming a destination for travellers and cognoscenti across the globe, including many Brits who have already discovered it. Our spacious, sunlit room faced the hotel’s smooth pristine lawns, which drop down to a rugged coastline, the kind of savage seascape that only exists in the far reaches these days. There’s the cry of sea birds, crashing of breakers, and utter silence of being away from the city here. An outside fire pit with loungers allows guests to utterly relax, sip extremely good wines from the Napa Valley, and feel that rare sense of stopping and being still. We wandered straight out the French doors and into the salty sea breeze, along the shoreline of white-capped waves, watching some of the guests galloping along the sand on horses or clambering up the rocks. It’s one way to prepare you for what turned out to be a grand, really satisfying dinner, because the food is top class here. The hotel’s Navio restaurant makes you feel as though you’re on a luxury liner in the middle of the ocean, with wild, sensational views from the broad windows. The ceiling is made of rather exotic, dark wood, the tables are well-spaced, and service is warm, welcoming and seamless. I really enjoyed my perfectly-cooked Dover sole with potato-ramp risotto and Cipollini (little onions) and the irresistible sides of honeyed vegetables. The Napa Valley wine was as good as anything we value across Europe. I’m not very good at wandering around in a dressing gown thinking about beauty treatments and counting calories, but the spa here had me drifting rather comfortably into the mood, dipping in and out of the steam room, hot spa bath, and onto the table for a soothing facial and massage. For the more active, the Ritz-Carlton is a self-contained world of body and fitness heaven. We were offered beach bikes or horses when we decided to launch our new shiny selves outside and explore, but decided a good walk would do it. Behind all great travel experiences is the feeling of freedom and abandon, and there is a real sense of it out on the coastal path, along the windswept beach or up on the cliffs. All this wildness is only minutes away from the absolute pampering and luxury of the hotel. 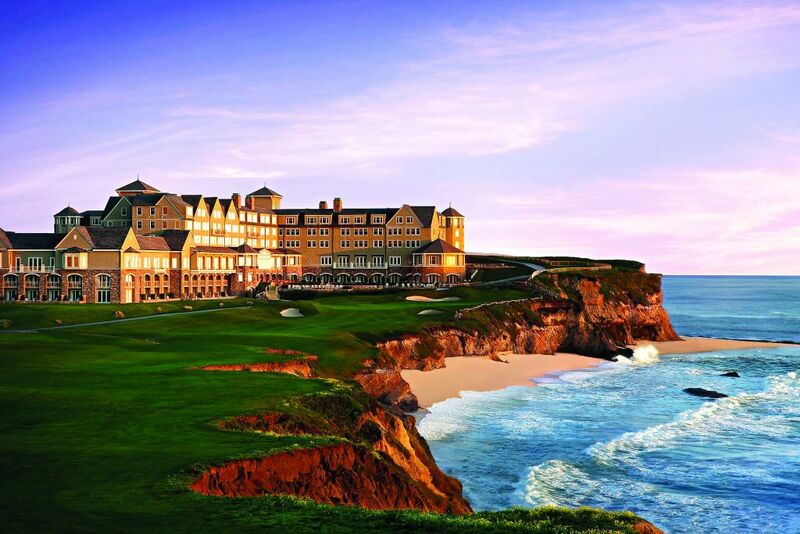 It’s almost sacrilege to mention the G word, but the Ritz Carlton also has a world-class golf course, the Ocean Course, perched on the bluff above the roaring Pacific, with sea views at every hole. We watched groups of guys with trademark caps worn back to front, slapping each other on the back and whooping with delight over their brilliant swings. The nearby town has the quirky honour of being the World Pumpkin Capital, with its seriously giant-sized pumpkins wowing people from all over. It’s also a really lively, rather quaint place, with craft shops and buzzy cafes. Half Moon Bay has the honour of being the oldest settlement in San Mateo County, and was called Spanishtown in the 1840s. It is become extremely popular for elegant Jewish weddings with an extraordinary seaside setting, and even Hollywood stars who want something romantic and secret. There’s a growing, thriving Jewish community along this coastal region, where it’s all so easy-going they sometimes conduct their communal Shabbat dinners in the local fish restaurants. 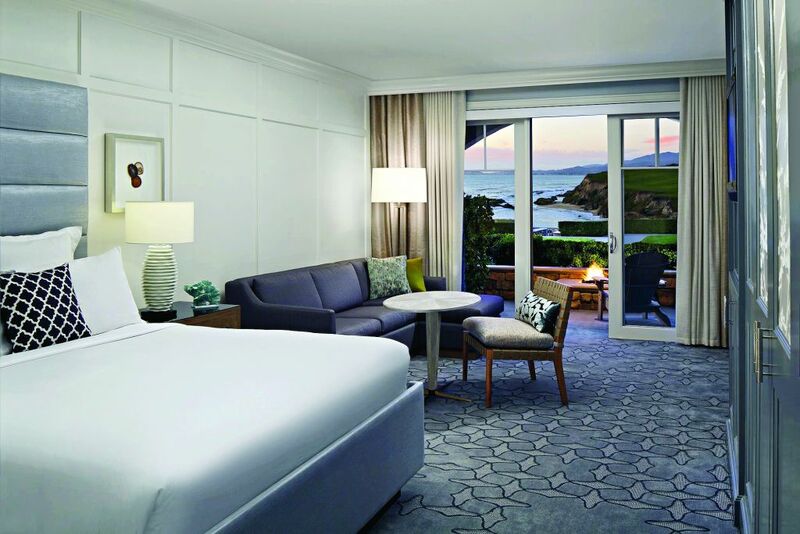 Sharon was a guest at the Ritz-Carlton Half Moon Bay, where rates start from $509 (£410) for a deluxe double room, depending on season. For more details, visit ritzcarlton.com.